RAR Member, Linda Langston, receives a Recognition Award from Linn County. 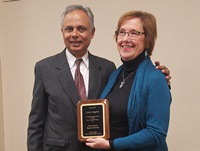 During a recent community visit to Linn County, IA, in Oct 2017, RAR Member, Linda Langston, received an award from Dr. Pramod Dwivedi, Linn County Public Health. 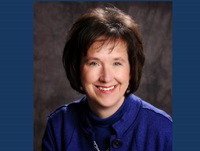 in recognition of her "service and dedication" to the Linn County Board of Health. Langston accompanied RAR staff to conduct focus groups and community meetings around flood resilience. 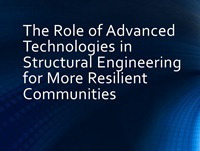 Watch the webcast of "The Role of Advanced Technologies in Structural Engineering for More Resilient Communities"
The Role of Advanced Technologies in Structural Engineering for More Resilient Communities, held Sept 26, 2017, was a success! Watch the webcast. The Resilient America Roundtable and the Puget Sound Regional Council is hosting the Puget Sound Knowledge Exchange: Resources for Building Resilience in Seattle, WA on January 26, 2018. 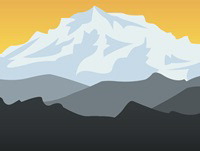 This event will bring together experts and community representatives from across the Central Puget Sound region to learn and share information about their challenges and successes related to implementing resilience efforts to address climate impacts and other hazards in their communities. Register to attend! 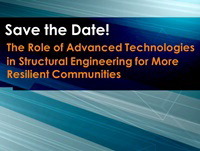 Register to attend the workshop, The Role of Advanced Technologies in Structural Engineering for More Resilient Communities, which will be held in Irvine, CA on September 26. This workshop will explore the role that advanced technologies and design innovation can play in structural engineering and construction to promote more resilient communities as they prepare for the next hazard event and how to quickly recover afterwards. 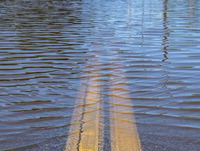 The Office of Special Projects began two new consensus studies this year: Measuring Community Resilience and Urban Flooding in the United States. 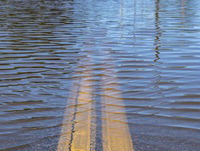 Two Resilient America Roundtable pilot communities have had to cope with flooding in recent weeks. Charleston, S.C. is still assessing the damage from the storm surge and flooding that accompanied Hurricane Matthew. 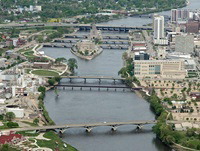 Meanwhile, Cedar Rapids, Iowa, is well into its recovery from flooding along the Cedar River in late September. Read more. New Extreme Event game - Earthquake! The award-winning Extreme Event game, developed by ResilientAmerica and the Koshland Science Museum, is back with an all-new scenario: Earthquake! This role-playing game gives players a taste of what it takes to prepare for and respond to an earthquake. All game materials are free. Check out the three games: Hurricane, Flood, and Earthquake. 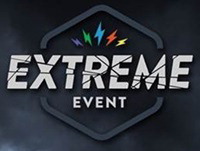 See Extreme-Event.org for details. Hurricane Matthew has caused significant flooding in Charleston, exacerbated by afternoon high tides. Follow the latest on Hurricane Matthew's impacts on Charleston and the South Carolina coast: Live 5 News, News 2. The Governor of South Carolina has declared a state of emergency in the wake of Hurricane Matthew as it approaches the east coast. Areas of South Carolina are under mandatory evacuation, and Charleston Mayor John Tecklenburg urged the city's residents to leave. Follow the news on The Weather Channel and get the latest about the impacts on our pilot community, Charleston. The City of Cedar Rapids weathered the Sept 26-27 floods relatively unscathed. The river crested at about 22 feet, the second highest since the devastating flood of 2008 when the river crested at 31.1 feet. The Linn County government declared a state of emergency and evacuated some areas. 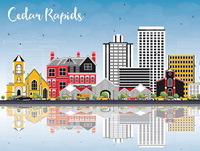 Find details on the City of Cedar Rapids website. The Resilient America Roundtable hosted the State of Resilience Leadership Forum and Community Workshop on June 28-29, 2016 in Washington, D.C. 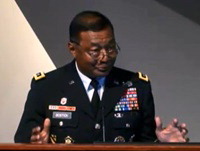 Videos of the live webcasts are now available. In the photo - seated left to right: Mayor Michael Seibert (Joplin, MO), Mayor Ben McAdams (Salt Lake County, UT), County Commissioner Chip LaMarca (Broward County, FL), Andrea Seabrook (National Public Radio). 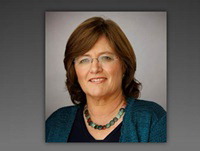 Resilient America Roundtable member, Dr. Lucy Jones, is featured in major U.S. media for her distinguished career at the U.S. Geological Survey as a seismologist: Seismologist Dr. Lucy Jones' Tips to Survive An Earthquake ~ Lucy Jones is leaving her job - to shake up more than just earthquakes ~ Lucy Jones: Saving Lives on Fault Lines ~ California's "Earthquake Lady" set to retire from rock star life. 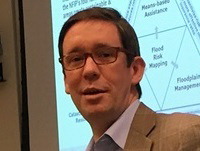 Roundtable member, Mr. Roy Wright, the Federal Emergency Management Agency’s Deputy Associate Administrator for Insurance and Mitigation, was invited to guest lecture at the University of Pennsylvania's Wharton Business School about challenges in reforming the National Flood Insurance Program. 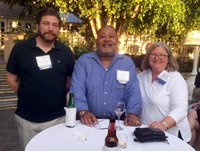 Roundtable member,Linda Langston, became the new director of strategic relations at the National Association of Counties (NACo). The former Linn County Supervisor has held several leadership positions at NACo and started its Resilient Counties Initiative. 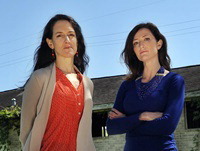 Roundtable member, Dr. Lori Peek, and her colleague, Dr. Alice Fothergill, were selected as finalists for the 2016 Colorado Book Award for general nonfiction for their book, Children of Katrina. 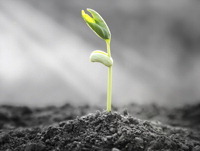 Register to attend the Resilient America Roundtable on June 28-29 for The State of Resilience Leadership Forum and Community Workshop (Agenda). 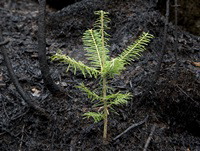 This event will consider the results of years of investment, experimentation and research, bringing together policymakers and stakeholders at the federal, state and local levels to talk about what works, what doesn’t and what should happen next in this resilience arena. 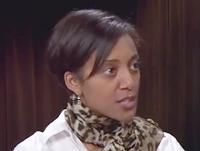 Eric Holdeman, host of Disaster Zone TV in Seattle, WA, interviews Dr. Lauren Alexander Augustine, Director of the Resilient America Roundtable at the National Academies of Sciences, Engineering, and Medicine about the Roundtable's work in U.S. communities and what makes a community more disaster resilient. 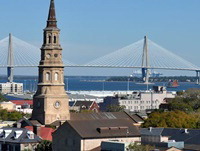 The Charleston Resilience Network hosted a symposium, Understanding the 2015 Charleston Floods, on February 23, 2016 at the Gaillard Center in Charleston, SC. 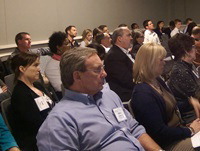 The symposium brought together local stakeholders from public, private, academic, and nonprofit sectors to discuss the successes, challenges, and lessons learned during the October 2015 flood. A report of the symposium is forthcoming.